Readyman, is just what the name suggests, it makes a man ready! These products are designed by Special Forces Veterans to essentially save your life in the direst of circumstances. 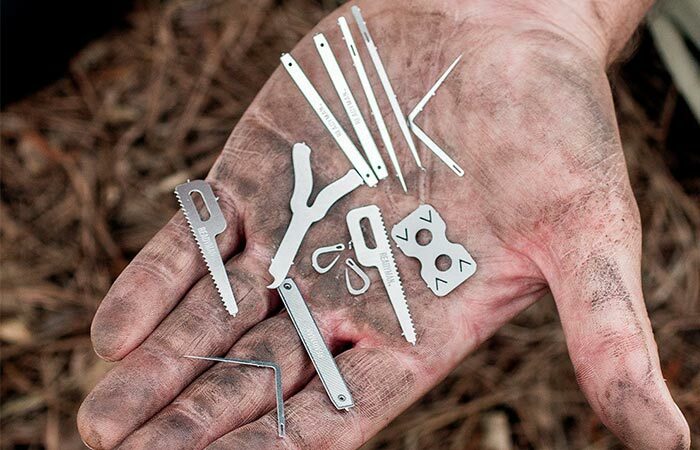 From fishing gear, to pocket stoves, Readyman has it all and we’re sure that you’ll appreciate their Readyman Medic Survival Card. If you decide to simply have it as a card in your wallet, or to add it to a medic kit, the Medic Survival Card was designed to drastically increase your capabilities. As with all Readyman Cards, this Medic Card works via a punch out system where you simply apply pressure to your needed equipment and it pops out with ease. The entire card is proudly 100% American made and is constructed out of premium quality 301 Stainless steel that will never tarnish, or rust. To make it even more portable, this card only weighs a mere 10 grams (.03oz) and can easily slip into your wallet. Admittedly, this is quite impressive for something that weighs so little and can fit with ease into your wallet. So, if you plan on roaming through the wilderness, always make sure that you’re ready with your Readyman gear. Also, this card does come with a warning that should be heeded, the needles are incredibly sharp.